With the sharp and constant rise of issues related to global warming, governments are increasingly debating their options in green energy solutions. And while an end to fossil fuel dependency will not occur overnight, heads of states are putting increased pressure on the employment of renewable energy sources, from solar energy to wind power. Denmark has long been at the forefront in the development of such solutions and is often referred to an example to follow. Together with its neighbour Sweden, the Danes have reached a level of reliance on renewable energy sources that many countries look up to. The continent of Africa is no exception. Last week, Akinwumi Adesina, the president of the African Development Bank (AfDB), visited Denmark for the first time and described it as a “great country”, particularly admiring the wildly popular use of bicycles as the primary transport amongst Copenhageners. The AfDB was established in 1964 and serves to extend loans and grants to African countries in order to reduce poverty and promote sustainable economic growth across the continent. Akinwimi Adesina stepped in as the bank’s president in 2015. 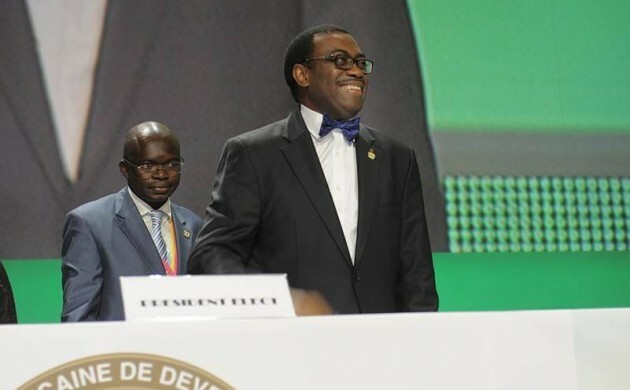 Adesina’s visit came in the wake of the introduction of Denmark’s strategic plan in engaging with AfDB over the course of the next three years. At the moment, electricity tops the bank’s main concerns for the African continent, and it will be working closely with its Danish partners to reach its goals. Denmark has emphasised that the funding of green energy solutions will be its top priority and Adesina believes the Nordic nation will play a “leading role” considering its outstanding achievements in this sector. Africa’s current situation with energy is problematic and Adesina described it as being “not acceptable”. At the moment, 56 percent of the African population has no access to electricity. That’s the equivalent of around 645 million people being without electricity, which is roughly ten times the population of the UK. To put things in perspective, the African continent accounts for over 16 percent of the world’s population. “Africa is tired of being in the dark; it should be ready to unlock all of its potential in taking advantage of its renewable energy sources” said Adesina. The bank’s goal is to encourage and fund the production of ten gigawatts of renewable energy by 2020 and a further 300 gigawatts by 2030. Adesina believes that Denmark will play a vital role in introducing Africa to innovative green solutions. “This is absolutely achievable” Adesina emphasised.